On Saturday, May 5th, Cinco de Mayo and the 144th Kentucky Derby will be happening simultaneously. It probably goes without saying, but #Southie will be HOPPING. Check out all the many ways you can celebrate Cinco de Derby (Kentucky Mayo? I’ll keep working on it) in the neighborhood. Note: many of these are 21 and over, so check beforehand if you’re bringing kiddos. Amhreins: They’re doing a Derby de Mayo event on Saturday—put on your poncho and derby hat! There’ll be prizes for outfits and specialty drinks like margaritas and mint juleps. Barlow’s: Barlow’s will celebrate both events. Their Derby ticketed event, 4-7 pm, has a $20 cover for a complimentary buffet and drink specials like the mint julep, Kentucky mule with ginger beer, and even Kentucky Bourbon Barrel Ale on tap. There’ll be a best-dressed contest, and the whole thing’s a fundraiser for Joseph “Dodo” Nee South Boston Collaborative Center. Stick around afterwards for their Cinco party. Boston Taco Fest: (family friendly) Boston’s first taco festival will be at City Hall from 10 to 10 Saturday and Sunday. There’s so much going on, including Mexican cuisine, live music, pro wrestling super shows, taco eating contest, best taco competition, and free lemonade from Hubert’s. TheBroadway: Broadway’s throwing a Kentucky Derby party with swag, mint juleps in silver plated cups, and a best hat competition for a $250 gift card. Capo: Capo will be hosting a Kentucky Derby Day Party in the Supper Club. There’s no cover charge, and it’s first come first serve with doors opening at 3:30. Steve Memmolo and the Classic Yellow Band will be playing starting at 4:15 until the race, which will be broadcast. Their Derby cocktails are Mint Julep, Pimm’s Cup, and Whiskey Smash. Best-dressed male and female get a prize! Coppersmith:They’re hosting a Southie Derby Party all day long on Saturday. If the weather’s nice, they’ll break out their Airdeck flat-screens; otherwise, they’ll have their projection screens showing the race. Mint juleps will be flowing, and the best hat wins $100 in prizes. Drink: Drink’s ninth annual Derby Party has lots going on: a $75 ticket will get you three cocktails, a Derby-themed menu, fun and games, and a commemorative julep cup. The Junction: There’ll be margarita specials, $5 tacos, $50 gift card for best dressed, and mint juleps. The race will be broadcast, with TVs in every direction per usual. Kings: Their Cinco de Derby event celebrates both occasions at all their locations, including Seaport and Back Bay. They have mint julep margarita specials, race contests that let you pick which horse you think will win, DJ, dancing, and giveaways. Wear your hat! The Lawn on D: (family friendly) The fifth annual season kicks off with a Cinco de Mayo celebration on Friday and Saturday with Latin and mariachi bands and fun family activities like face painting. Lincoln: Their rotating Brunch Test Kitchen menu will be Cinco themed, and see if you can spot a few Star Wars references (May the 4th be with you!). They’re also promising six drink specials. For Cinco, their specials are inspired by the nearby Loco: the El Jefe Margarita, the Coco Margarita, and their own specialty cocktail the Dracarys. For the Kentucky Derby, they have Sam Adam’s Rose Cider, the Talk Derby to Me, and the classic mint julep. Loco: Oh my god, so many things. They’re doing 5 Days of Cinco, with a different event every night. On Monday they’re doing Loco for the Coco, with frozen coconut margaritas in a pineapple. If you tag your marg picture with #locoforthecoco, you’ll be entered to win a custom skateboard from Pacifico. 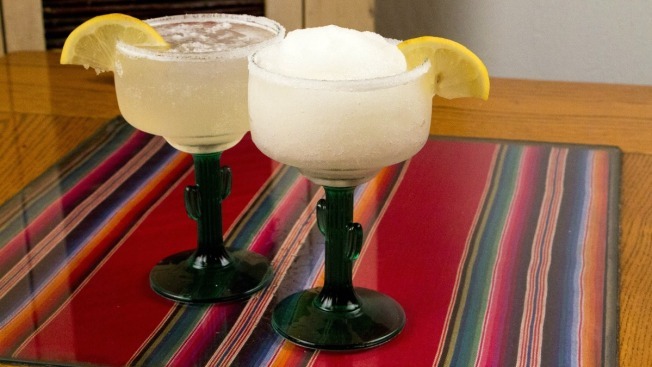 On Taco Tuesday, they’ll have taco trays and Cinco margarita pitchers. One tray will have a golden ticket worth $150 for a free taco box for 10 people and authentic Mexican glassware. On Wednesday, they’re partnering with Cisco Brewery for Cisco de Mayo, which includes a taco-eating contest. Eight teams of four compete, and winners get a free trip to Cisco brewery, swag, beer, and the bill covered for all the tacos they ate. Thursday has live music 8-11 pm and the return of the Poptail (a.k.a Boozy Popsicles). If you submit your own Poptail recipe, you’ll be entered to win a custom snowboard. On Friday, they’re open early at 11:30 for their Rum Punch Lunch. They’ve got their signature rum punch in a watermelon and live music in the evening. If you guess how many watermelons they sold last season, you’ll win a Modelo bag toss game. On the big day: doors open at 10 am, and there’s door prizes, contests, and giveaways including 28 piñatas that each have goodies like Red Sox tickets, candy, and swag. They’ll have a golden margarita (Espolon Anejo X with a Grand Marnier float) and a mariachi band that’ll play every time someone orders one. And finally, on Sunday, there’s a hangover brunch called Rosé and Shine with enormous bottles of rosé, an Instagram photo contest with a hangover care package going to the winner, and live music from DJ Lazee Boy. Publico: Their Roses & Ritas Cinco de Mayo and Kentucky Derby party will feature juleps, tequila cocktails, carnitas, and mahi mahi tacos. Punk and Poet: Go for a more casual ambiance, with some decorating, buckets of Corona, the race on TV, piñatas and giveaways, and their regular brunch until 3 pm. Roza Lyons: Similarly, it’ll be a casual affair: some mint juleps and Coronas, with the race on TV. The Seapoint: The Seapoint’s Comedy Night returns with a special Cinco de Mayo themed event, hosted by Boston comic Kyle McNally starting at 8 pm. WordenHall: Their Kentucky Derby Party will run from 3 to 7 pm. There’ll be mint juleps with Four Roses Bourbon, and guests are encouraged to dress up in their best Kentucky Derby getup. And these are just places nearby. If you’re looking to venture out of Southie, there’s plenty to do. If your favorite spot isn’t listed here, keep checking their social media—some restaurants and bars haven’t finalized their plans yet. The post Roundup: Where to Celebrate Cinco de Mayo/Kentucky Derby appeared first on Caught In Southie.